This instablog post comes from Tim Plaehn, expert on income investing and a friend & colleague of mine at Investors Alley as well as a contributor here on SeekingAlpha. 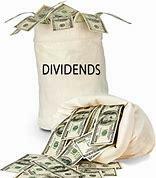 Tim runs the Dividend Hunter newsletter which offers a solid & diverse selection of attractive high yield plays. The service now has over 7,500 active subscribers and can be had HERE for the rock bottom price of $49 (It usually is $99) for the first year. There are few better bargains around for those looking for solid income plays to balance their high beta holdings. It was only six months ago that Fed Chairman Jay Powell said that the Fed was “a long way from neutral,” meaning that they were going to keep raising rates. In December, the central bank hiked rates and the market threw a fit, and the stock market plunged. Still, the Fed’s economic projections saw them raising rates two more times this year. Now those plans are out the window. It looks like rates may go unchanged all year. In fact, there are some folks calling for a rate cut. Larry Kudlow, President Trump’s economic advisor, recently said the Fed should jump in and cut rates by 0.5%—immediately. Investors must understand that we now live in a low-rate world. The old rules of rates swimming up and down between 3% and 6% are gone. Just last week, we got another tame inflation report. The good news is that for income investors, there are plenty of low-risk ways to profit. Here are two real estate investment trusts, or REITs, that aren’t your garden-variety REIT. Both are ready to ride long-term growth trends. Let me explain…. 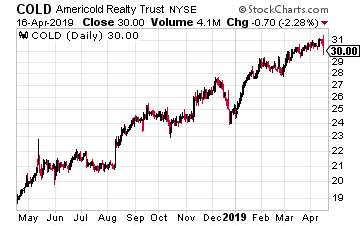 The first REIT is Americold Realty Trust (COLD). The company is still fairly new to the markets. COLD completed its $834 million IPO in January 2018. The REIT currently yields about 2.6%. What makes Americold Realty Trust different is that it’s the largest REIT that’s focused on owning and running temperature-controlled warehouses. Why is that important? Well, these warehouse are vital to the food industry. COLD owns and operates 156 such warehouses with approximately 928 million refrigerated cubic feet of storage. They now serve more than 2,400 customers worldwide. Don’t be fooled. The food industry is hardly a no-growth area. A lot more of these warehouses will be needed, and soon. With Millennials embracing online grocery shopping, demand for cold storage facilities is rising. I want to emphasize the uniqueness of its business. COLD isn’t just a landlord. 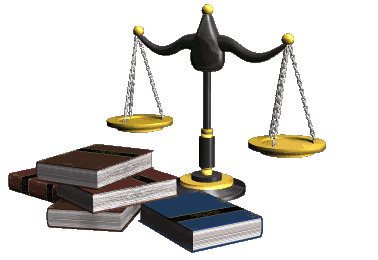 The firm also provides services that help their customers properly move their products around the supply chain. Here’s an important stat for you to ponder: 96% of all the frozen food that you find in the grocery store comes through some company like Americold. This is potentially a huge market that’s barely been tapped. The other REIT is American Tower (AMT), which is in the cell phone tower business. Tower companies lease the space on their structures to several tenants like wireless carriers and government agencies. Guess again. Consider that this business has a strong growth component, thanks largely to the coming of 5G wireless networks. These faster, more powerful networks are an absolute necessity for our interconnected world. The explosive growth in data traffic is driven by two key trends. The first is an expected 50% increase in connected wireless devices by 2021. The second is a major rise in the amount of data consumed per device as users upgrade to new smartphones. This new tech also includes things like ultra-HD video, augmented reality and connected self-driving cars. And they all consume huge amounts of data, and that means towers. If you think of the wireless network as a toll road, 5G would have significantly larger lanes for wireless traffic and dramatically higher speed limits than 4G—in both cases 100 times greater. Each new generation of wireless technology has required a greater level of investment from wireless carriers which closely correlates with tower leasing activity. It is highly likely the adoption of 5G will follow this historical trend. Now let’s get back to American Tower. The company has over 170,000 tower sites. What I like is the economics of this business. As the company explained to Bloomberg, “single-tenant towers have gross margins of 40% from rentals…two tenants have 74% margins…three tenants have 83% margins.” You can see the benefits of steady growth. American Tower generates more than half its total revenue here in the U.S., with its customers being all the major wireless carriers. Another big plus I see for American Tower is its vast overseas footprint. This is important because the U.S. does not lead in 5G technologies. American Tower is also in key emerging markets. For example, AMT has its largest international exposure in India where data usage has been growing 100% per year. Within a few years, I think most of AMT’s revenue will come from outside the U.S.
Latin America has a lot of potential too. There are over 200 million people in the middle class in Latin America. A significant proportion of these consumers are under 40 years old (the heaviest data users). 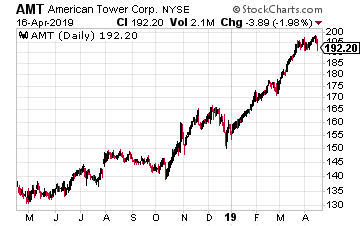 American Tower is a REIT very well positioned to ride the trend of a more interconnected world! If nothing else, the sell-off in the market during the fourth quarter reinforced the need for diversification including a good dollop of cheap, boring dividend stocks in your portfolio to offset higher beta holdings especially in times like these. Tim recently put together an extensive report on how he finds attractive yield plays for long term investing and utilizes a monthly dividend calendar to optimize returns. It is now available for free download by clicking HERE. This will also trigger a free email report detailing three of Tim's current favorite dividend stocks that go for under $15.00 a share.